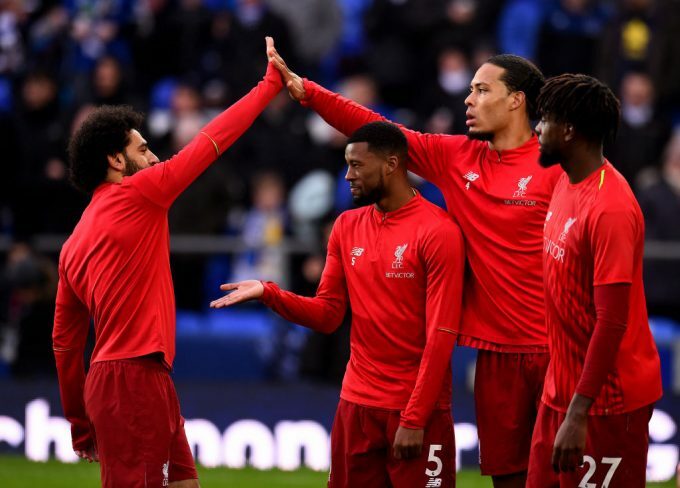 Liverpool giant defender Virgil Van Dijk has underlined that the Reds’ star Mohamed Salah has always been delivering for Liverpool this season and was only pressured by the media. Salah ended his eight-game goal drought by scoring a stunner against Southampton to lead his side to a 3-1 victory. The 26-year-old winger scored an outstanding goal following a great solo effort that saw him run from the halfway line to the penalty area. Liverpool are preparing for an important encounter against Porto in the Champions League quarterfinal on Tuesday, and the Portuguese side is a familiar victim for Salah who had scored visited the net against in Liverpool shirt in last term’s Champions League round of 16. The Netherlands captain spoke on whether Salah’s general mood has improved since getting back to scoring ways. “[His mood is] Fantastic. He’s always lively, always happy, always wants to work hard and gives everything for the team. I think that’s what Liverpool is all about. Everyone is giving everything for the team, for the club,” Van Dijk told Liverpool website.